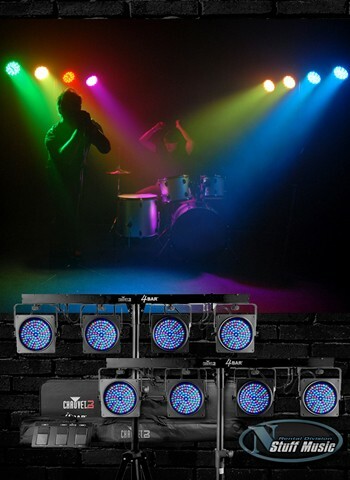 Band Lighting Package 3 is the perfect visual compliment to any medium to large live show. Wash, motion, focus and fog - it has it all! 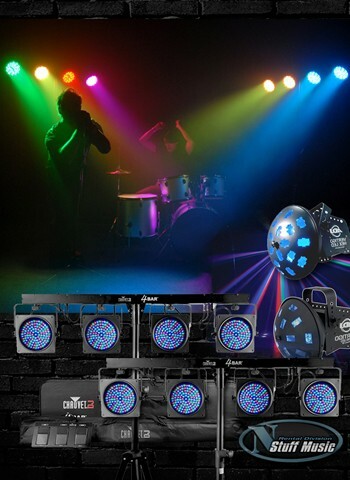 Wash the band in a variety of colors with the Chauvet 4 BarUSB, put some motion in the stage and dance floor with the American DJ Vertigo lights, follow the lead singer with the follow spot, and sell it big with a room full of fog!